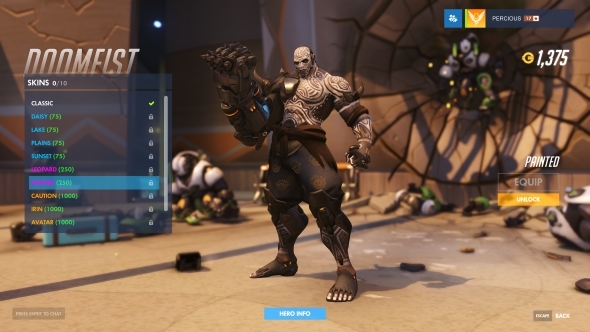 Update 14 July, 2017: All of Doomfist’s cosmetics have finally made it onto the PTR. 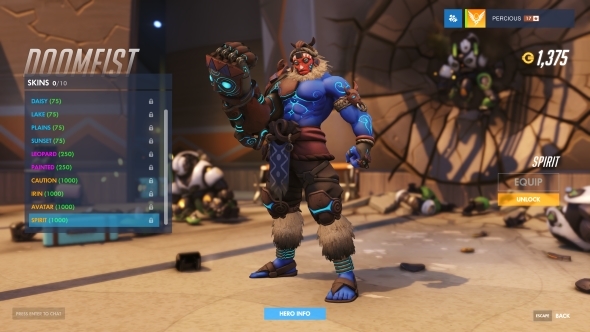 You can see skins, emotes, highlights, sprays and voice lines in the video above, or check the images below for his epic and legendary skins. 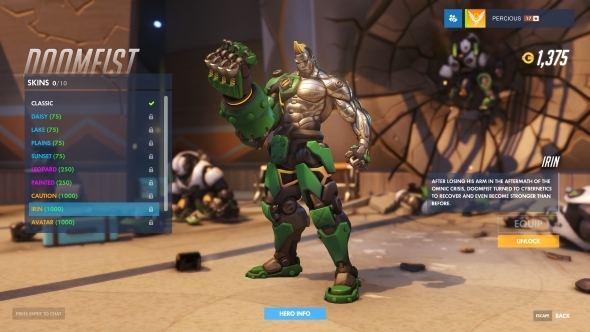 Here’s what we know about the upcoming Overwatch heroes. 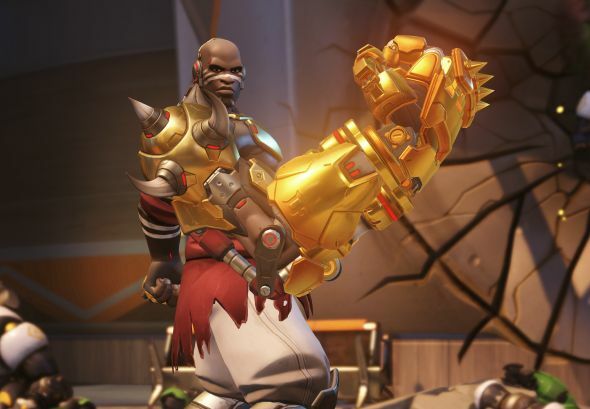 Update 8 July, 2017:Those plucky dataminers have been at it again, and while Doomfist’s skins are still elusive and hidden away, we’ve got a little more information on them. Zenofy posted about this overon the Overwatch subreddit, where they came to a few interesting conclusions. The first of those is that Doomfist is getting a total of 67 cosmetics at launch (including his base skin and such), but also that he’ll be getting something during this year’s Summer Games event. There are four items under the Summer Games tag, and Zenofy thinks they’ll be an icon, a spray, a voice line, and an epic or legendary skin. 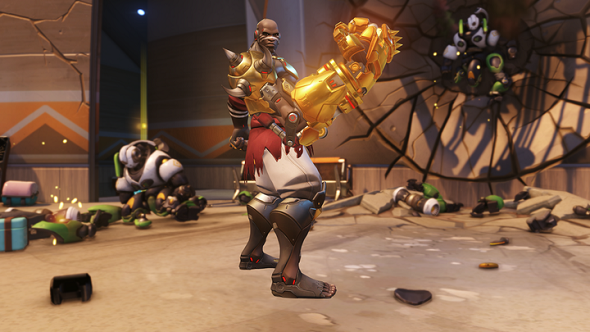 Hopefully that’s true – Doomfist would be pretty incredible at the shot put. Original story 6 July, 2017: As tradition dictates when a new hero arrives in Overwatch, PCGN have been scrambling to provide you with hot, steaming content, as fast and as informative as possible. 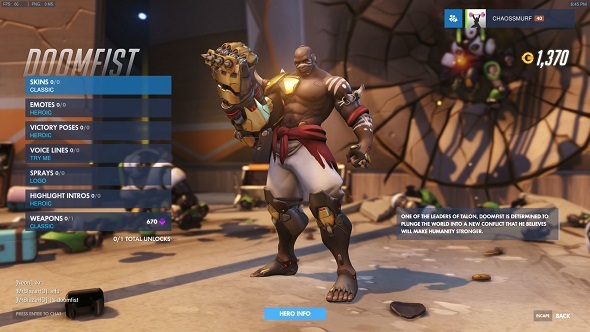 One of these posts is usually all the character’s, in this case Doomfist’s, skins, emotes, highlight intros, and other cosmetics. There’s only one problem: he doesn’t have any. 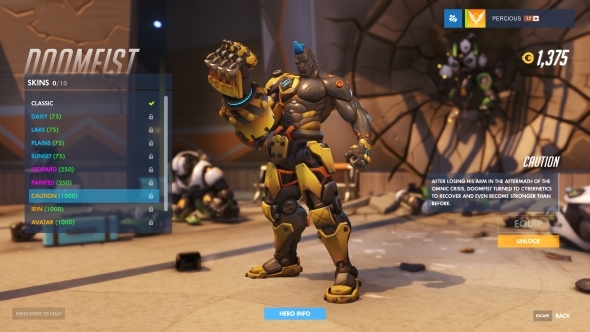 We reckon skins will be coming later, and this was an intentional decision by Blizzard to stop them being datamined ahead of his release, or perhaps to lower the size of the PTR patch.